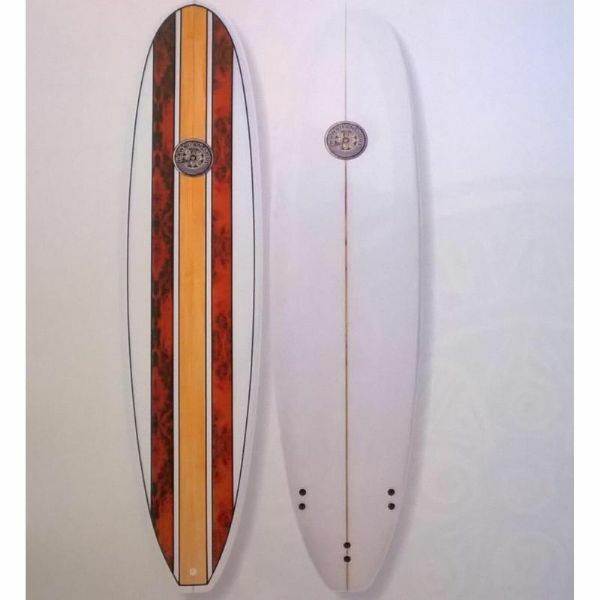 The 7'6" Hawaiian Soul is perfect for those wanting a bit of easy paddling, early wave catching and Hawaiian glide. Short enough to throw about too. All this and great looks thanks to the wood venee​​​​​red deck pattern.